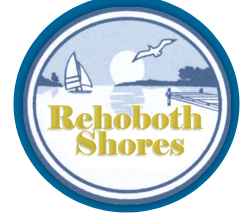 Rehoboth Shores is a manufactured housing rental community. We offer five year lot leases which adjust yearly by CPIU. Lots range in size with a minimum of 5,000 square feet and up. Basic lot rent starts at $339.00 per month. Electric, Water and Sewer are provided by Delaware Electric Coop, Long Neck Water Company and Sussex County utilities respectively. Rehoboth Shores also offers Manuafucatured Home rentals and range in price from $700 per month and up. Leases are renewed annually. Renters are responsible for Electric, Water and Sewer as provided by Delaware Electric Coop, Long Neck Water Company and Sussex County utilities respectively. Rehoboth Shores works with several manufactured housing dealers in the area who provide new and pre-owned homes in our community. Often their are several spec. homes set up on lots ready to go once you are approved. Homes brought into Rehoboth Shores must have shingled "A" framed roof and vinyl house type siding. Most lots require that the home be "flood set" and must be done by a certified manufactured home setter per county code. Applicants must complete a credit application, show proof of employment and pass a criminal background check, No one with a felony conviction will be allowed in the community.